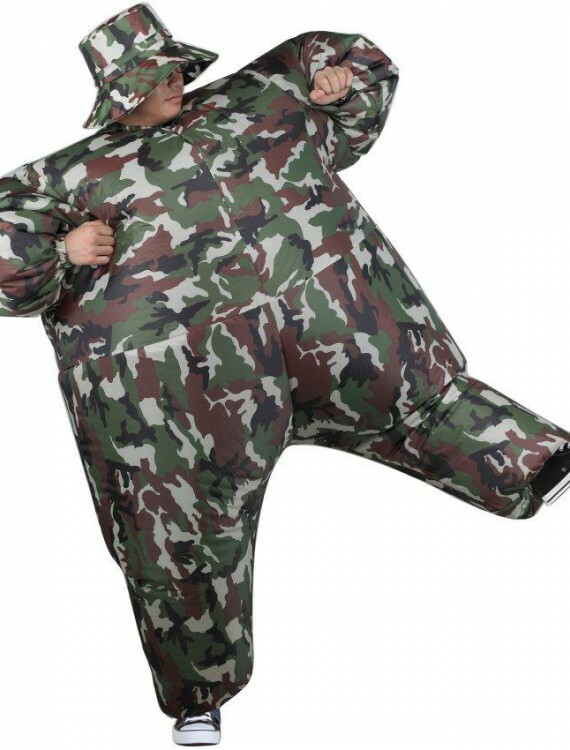 Inflatable Adult Camosuit Costume | Includes a camouflage costume that inflates with the included fan and battery pack. 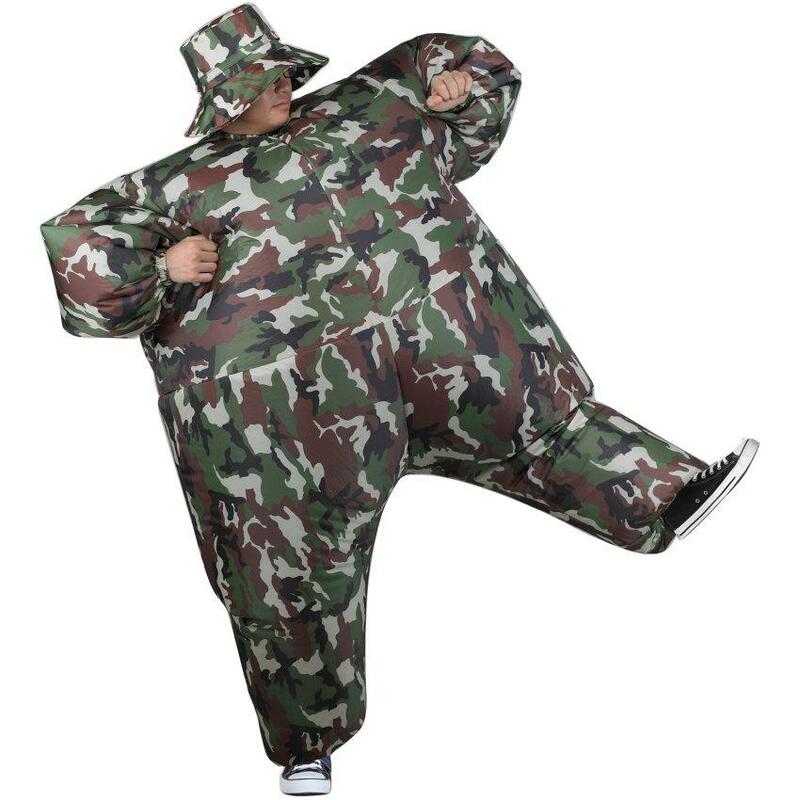 Also includes matching hat. Does not include batteries.